T.L. (Tom) Brook moved to Calgary in 1941 and made an almost immediate contribution to the football scene. During the post-war period when football was struggling, Brook re-organized the Calgary Stampeders. In 1948 he hired Les Lear to coach the squad and recruit new talent. Lear did a magnificent job, bringing in stars like Woody Strode and Chuck “Sugarfoot” Anderson. 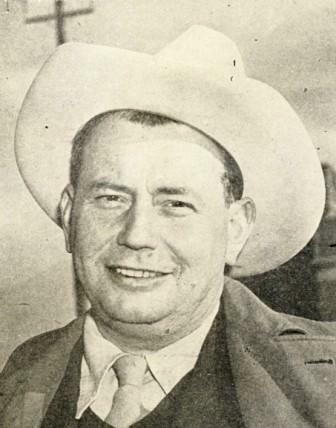 Tom Brook personally guaranteed the players’ salaries and was rewarded as the team went on undefeated season in 1948 and then won the first 10 games the following year. In 1949 there was a move for a two-game Grey Cup series. Tom Brook made an impassioned speech at the Canadian Rugby Union (CRU) meeting, and helped to save the day for the single game Grey Cup championship.